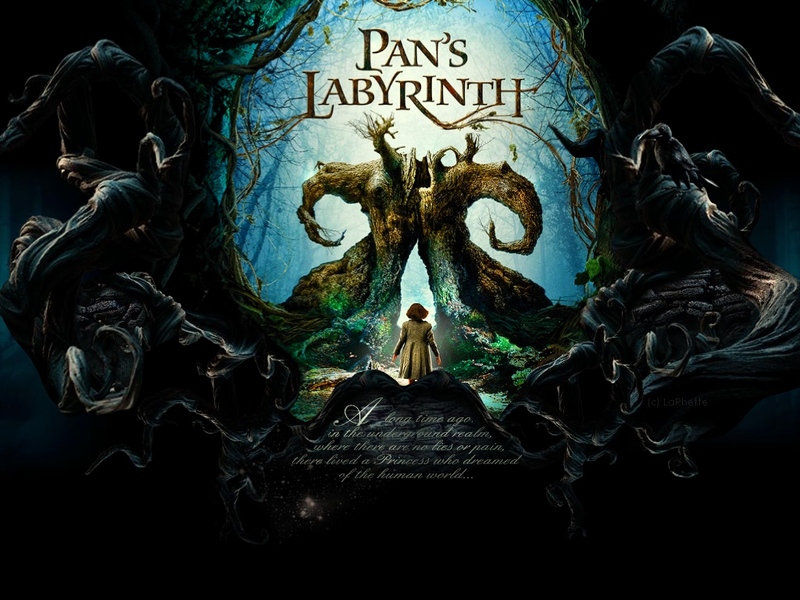 A film incredibly close to my heart, “Pan’s Labyrinth” is without a doubt one of my favourite films ever made, if I had a list, I would hazard to say this would be in the Top 10. As I describe it in the video, it is a violent movie about innocence and a fairy tale about life. Little Ofelia is being sent with her mother to live with a monster of a man, Captain Vidal during the post-Spanish Civil War so as to become his step-daughter. In an effort to cope, the girl escapes into a fantastic universe where she is joined by the ambiguous faun, Pan where she is told she is the daughter of the king and queen of the underworld and must complete a variety of tasks if she wishes to claim her throne. On the outside, Captain Vidal struggles to maintain his hold on the people he lords over with an iron fist and his own flailing sense of security. The entire film is a correlation of contradictions that suit the very nature of the story and the characters involved. López’s Vidal is truly one of the most frightening yet simultaneously pitiful villains to grace the screen. So cruel, so monstrous, so determined yet at the same time so vulnerable, so insecure and so repressed from compassion he is that the audience may hate him yet at the same time sympathise to some degree with him. Such a gigantic performance in such a gigantically beautiful and engaging insight into the enchantment of innocence and the power of will in a time of hostility. Ivana Banquero is a revelation as Ofelia that I wanted to not only take care of her, but also join her on her adventures. Magnificent film. Super Podcast: The Villains Edition!